Learn how to look at art with a passionate eye. We will visit museums and galleries with the opportunity to hear about the work from curators. Afterwards we will discuss the work to explore the creative process, visual communication and your own work. Bring a journal or something to record your ideas in as I expect these outings to be highly thought provoking. This is a VERY exciting trip!!! I have arranged for several gallery tours within Miami’s Wynwood Art District. We will tour the galleries and meet with gallery directors and artists who will share their perspective on their work, Miami’s art scene and the art world at large. More details on Miami Wynwood Art District Gallery Tour. Feel free to contact me if you are interested in attending. 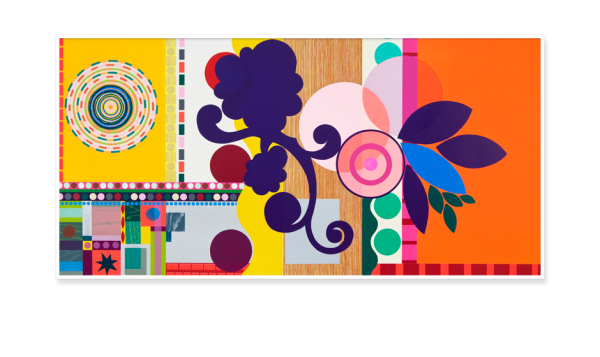 Previous gallery visits have included The Gallery at Windsor artworks by internationally renowned Brazilian artist Beatriz Milhazes. This work is full of color and depth. We met with Gallery Manager Katrina Rank who talked to us about the artist and her work. Then we discussed Milhazes’ work and how it relates to our individual work. Please contact me if you are interested in joining us for future gallery visits or if you have any questions or suggestions.